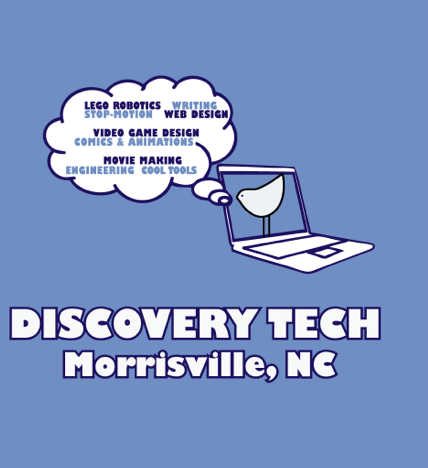 Refer a new family to Discovery Tech, and receive a Discovery Tech T-shirt when they sign up for a camp or weekly class! Refer more than one family, and receive an entry for each additional family in our $100 Discovery Tech gift certificate raffle! Promotion runs through October 1. * Codes will not be accepted after the referred friend is already registered. Codes will not be accepted after the referred friend is already registered. * The camper you refer must be a new camper and cannot have previously attended a Discovery Tech camp or class. * New family may only list one name.